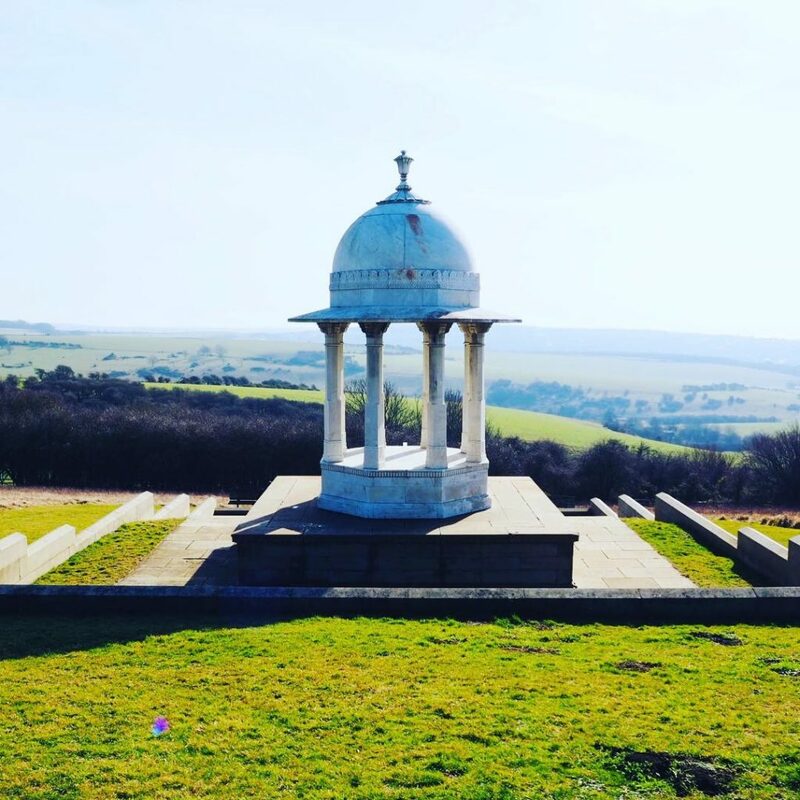 Ever been on the South Downs in Sussex, and spotted something that looks like a white pepper pot on the hillside? Then you will be familiar with The Chattri Memorial. This was my destination for February, as part of my plan to explore somewhere new every month this year. I didn’t get very far in January, but I did discover the smallest art gallery in Brighton. 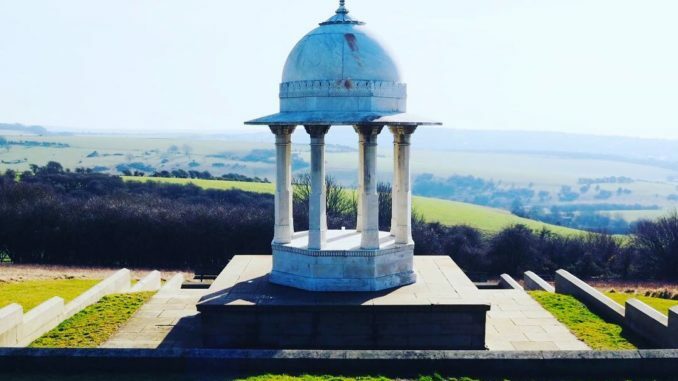 The Chattri memorial stands 500 feet above Brighton. It’s a war memorial to Indian soldiers who fought in World War One. Brighton Pavilion was a temporary military hospital for these soldiers from 1914 to 1915. Apparently King George V thought that since the Pavilion looks a bit like a mini Taj Mahal, the soldiers would feel right at home. True story. Most of them survived, and some Hindu and Sikh soldiers who died were cremated on the spot where the Chattri now stands. 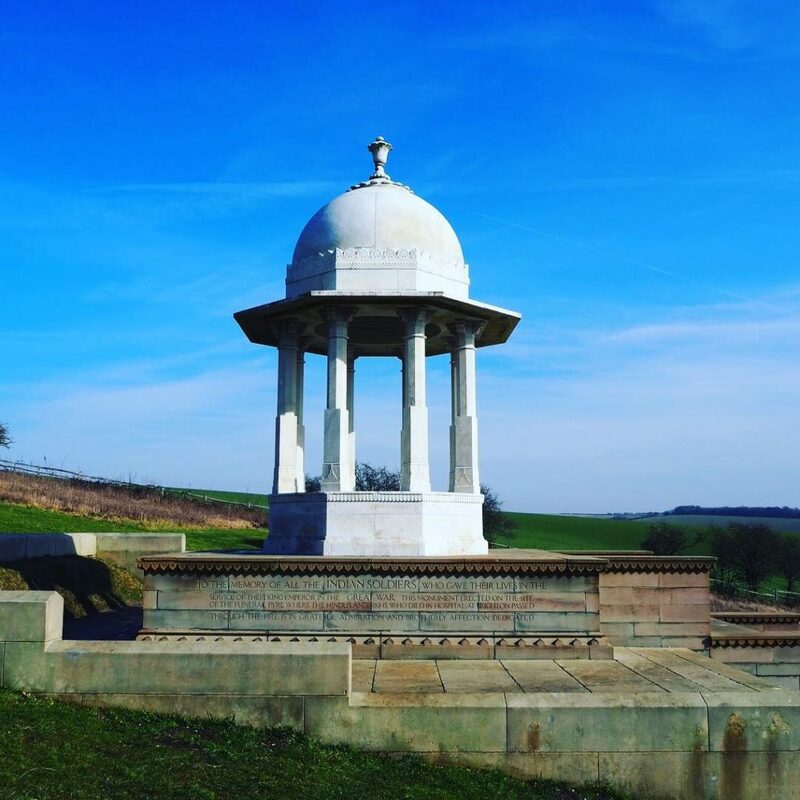 The Chattri memorial is made of white Italian marble. You might have seen it from the motorway if you’ve ever been around these parts. Getting to the actual memorial involves a mile and a half walk along a bridle path. It’s an easy, flat walk, though it may be challenging if you have mobility issues. Here you can see the bridle path on the left. The tiny white dot of the Chattri is just visible in the middle of the picture. It looks a long way away, but it’s really not. It’s a lovely peaceful spot with beautiful views over the countryside. I even made a little friend on my walk. Neither of us liked to mention that this area is called Deep Bottom, although he knew and I knew, it didn’t seem fitting. 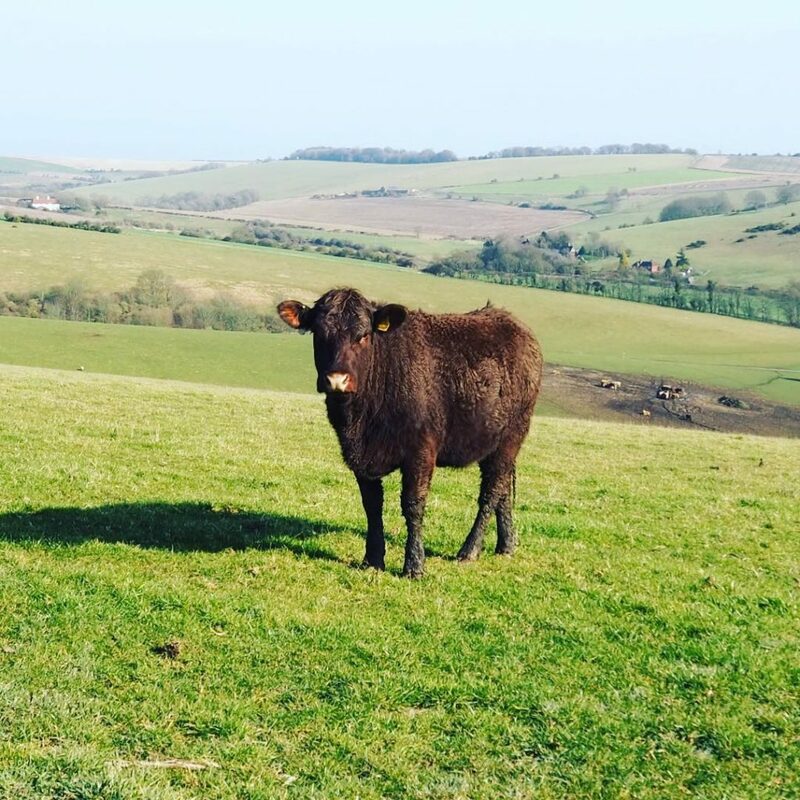 By Car:Take the A27 towards Lewes. At the second small roundabout (with a slip road to Lewes) take the north exit into Braypool Lane and immediately turn right. You’ll see a sign to The Chattri, follow this and turn left on to the bridle path, then walk for just over a mile. 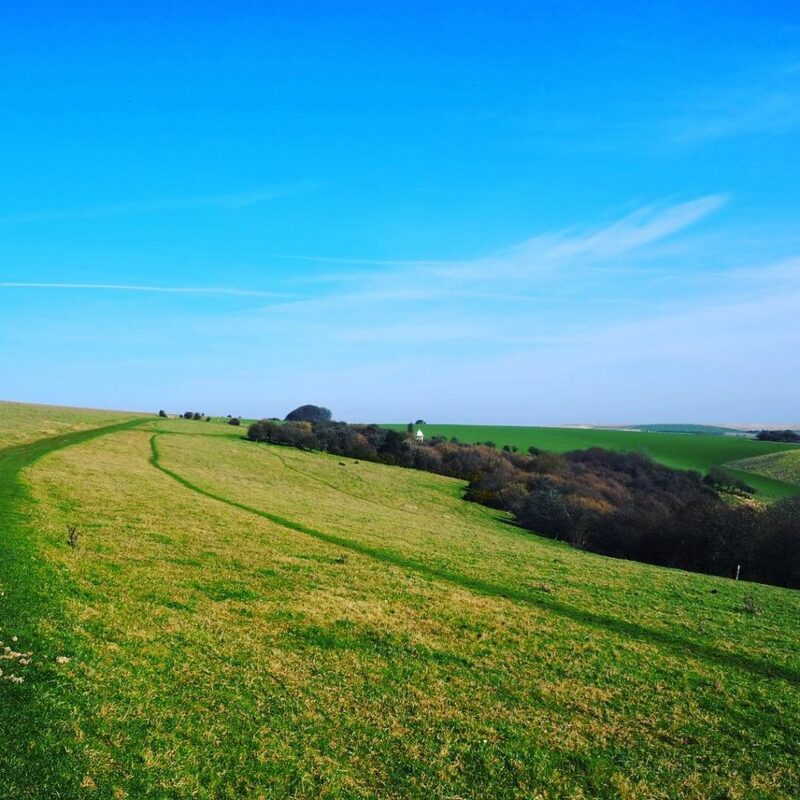 By Bus from Brighton: Catch a bus from the Old Steine in Brighton city centre and alight at Patcham Place YHA. The bus stop is opposite the Black Lion Pub. The walking distant to the Chattri is approximately 2 miles from the gate.